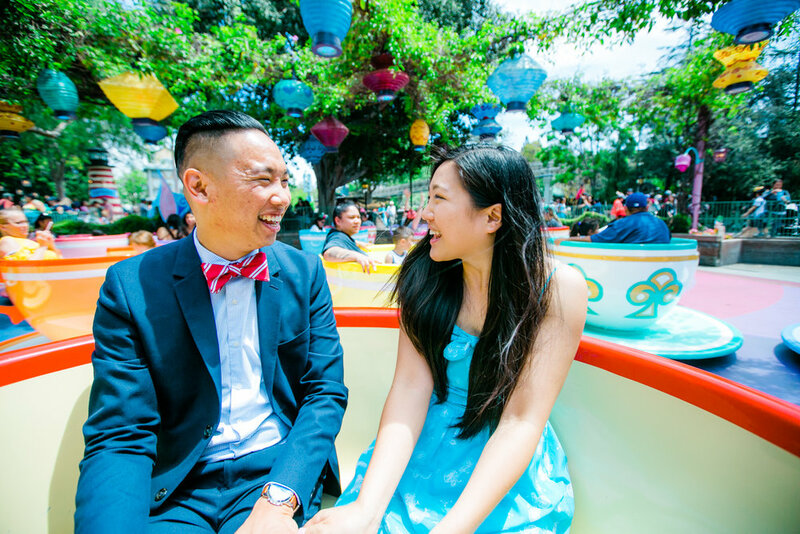 Two friends of mine just got engaged at Disneyland, and I had the pleasure of documenting this special moment for them! 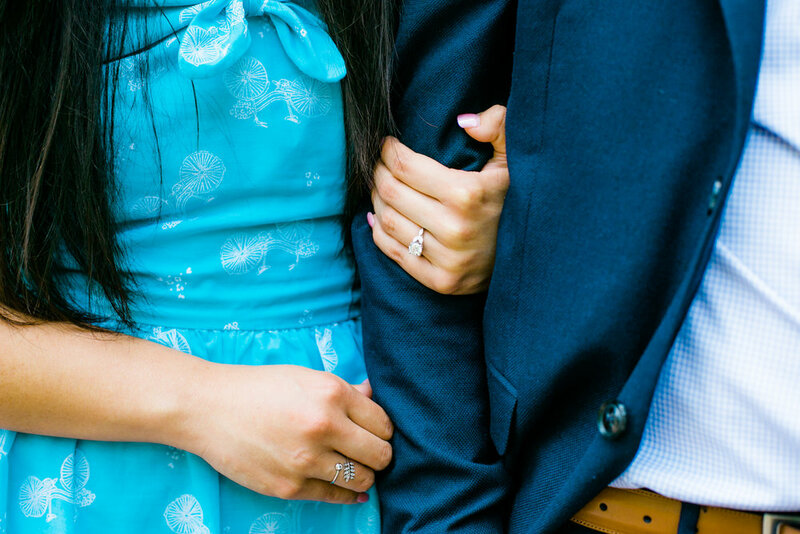 Gabriel approached me a little over a month before he planned to propose to Jessi, and I was so excited to be a part of the plan! As the day drew near, we decided to meet at Disneyland a few hours early to do some scouting. Jessi was coming later with her sister, brother-in-law, and two nephews and thought Gabriel was out of town for the weekend. We planned our surprise for the backside of the castle to be sure that if she had any suspicions she would not be expecting it there. We hid on opposite sides as she approached and as she passed by, Gabriel called her name. 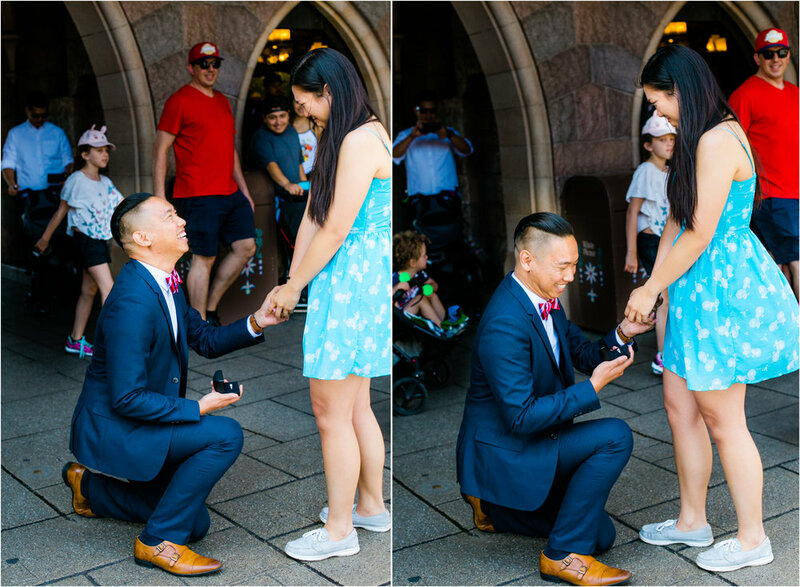 She was shocked to see him there dropping down on one knee holding out her ring! 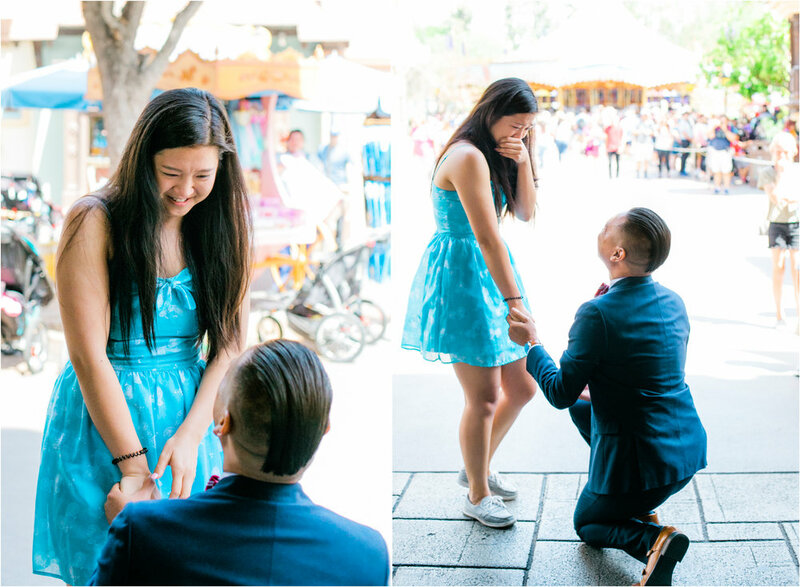 Through lots of joyful tears, she said, "Yes!" and enveloped him in a huge hug. 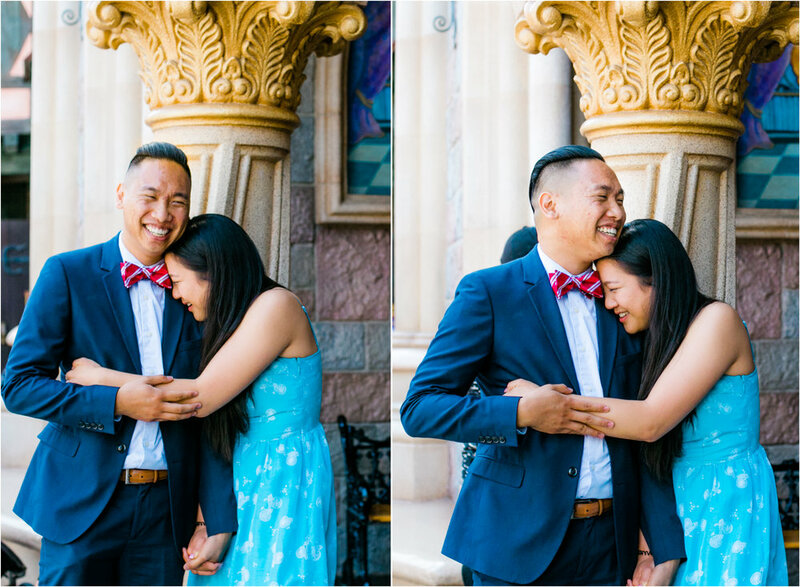 It was a successful proposal full of joy, tears, and laughter! 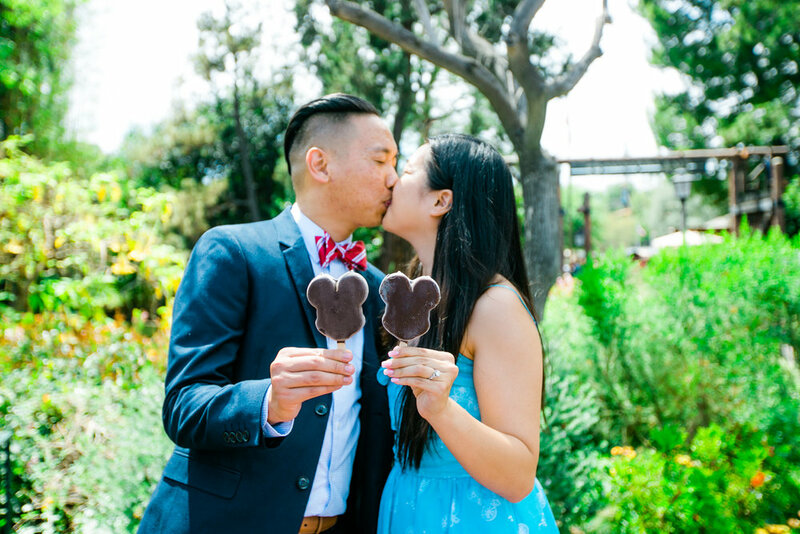 We spent the next few hours taking photos around Disneyland to commemorate their engagement day! 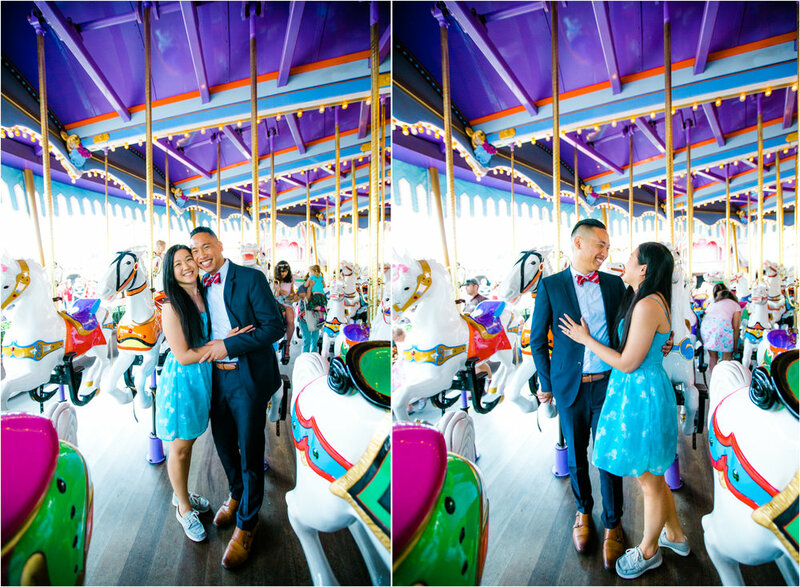 The thrill of the rides we went on could not compare to the thrill these two had with being engaged to one another! 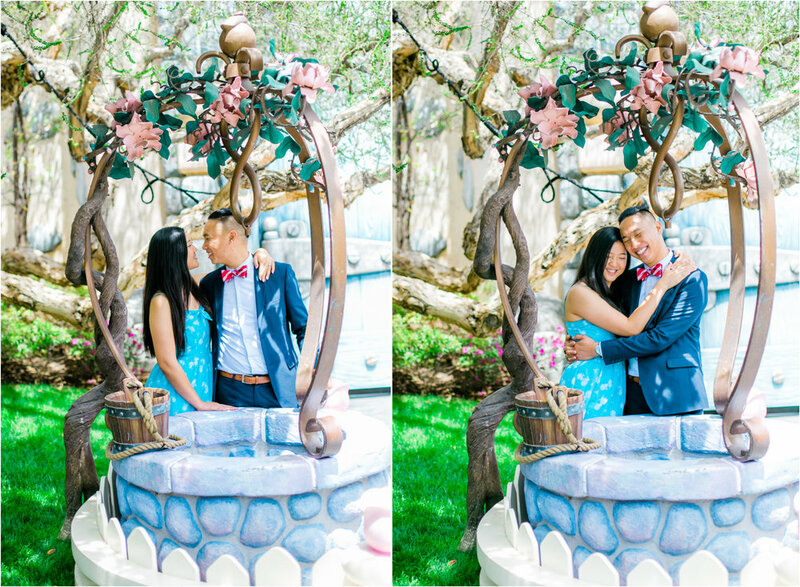 I loved being a part of this special day for them, and I look forward to seeing their "Happily Ever After" come to pass.